Purpose: A canine model was used to obtain scientific findings on the use of a nanostructured carbon implant (NCI) for management of long bone diaphyseal defects. Materials and methods: The experiment was conducted on 18 adult dogs. Circular tibial diaphyseal defects in the right hind limb were formed in group 1 (n=9) and group 2 (n=9) that measured 10 mm (9% of the initial tibial length) and 20 mm (16% of the initial tibial length) respectively. Porous NCIs (NanoTechMedPlus, Velikiy Novgorod, Russia) of the size of the defect formed were placed into the gaps. The limb was fixed with the Ilizarov apparatus. NCI osteointegration features and safety were checked immediately after the operation; at two, four, 12, and 26 weeks after it. Clinical, radiographic, biochemical and histological methods were used. Results: The biochemical study revealed that the NCI was biologically inert and safe. The histological study showed active osteointegration and ingrowth of vessels into its NCI pores. The NCI-to-bone fragment block was formed after 155 days on average. 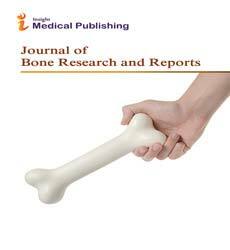 Bone osteointegration and formation was more active in a smaller defect management. Conclusion: The NCI tested plays the role of a porous scaffold for ingrowth of blood vessels and bone cells. The bone-to-implant block is formed in the early postoperative period. The NCI meets the requirements to the products implanted into the living body and can be recommended for clinical trials in long bone diaphyseal defect management.